We are currently developing a "member's only" section. When that is completed, you, the members, will be provided with your log-in details. 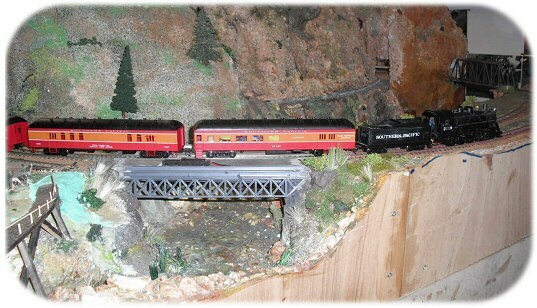 Page Mountain, the BRMRC's current major layout project, is the construction of an American themed railroad in HO scale and is the club's first venture into this field. Pre-planning was limited as it utilises some boards that were donated to the club some time ago. This has made it more difficult as it means a lot "cobbling together" of odd shaped boards and then fitting a track plan into it. Needless to say, there were some false starts but it seems to be coming together now. It is 18'x 8' in size and will be viewable from all four sides in the manner of dioramas so that the whole layout can not be seen from one viewpoint. 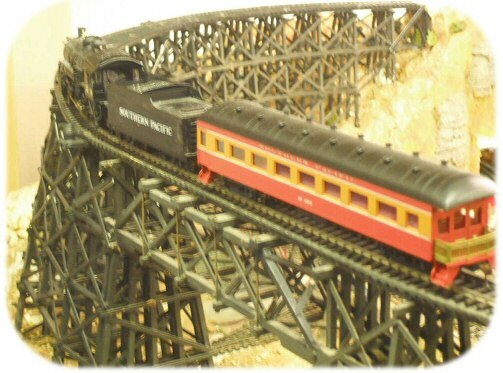 This is to make the most of what we hope will be a varied mix of scenery which already includes canyons & mountains plus a high wood trestle. 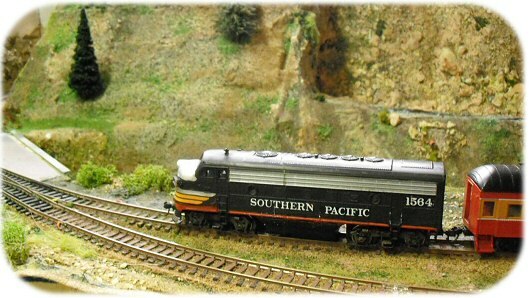 It will be electrically wired for both DC and DCC to allow the members who have locos of either or both systems. The small group involved in this project do what they can on our usual Tuesday session but also meet on Thursday evenings( it's bit quieter then). This is known as "American Night". The picture below shows a start has been made on the sections between the two mountainous ones shown above. The back of the section containing the superb timber trestle is to the left and other section is out of shot on the right.